Jennifer Pharr Davis, the former record holder of the FKT (or Fastest Known Time) on the Appalachian Trail, tells the story of her meteoric rise in the world of endurance hiking and, in doing so, unpacks key traits that make women uniquely suited to endurance. With a storyteller's ear for fascinating detail and description, she takes us with her as she sets the record on the Appalachian Trail and introduces us to the mentors who helped her to identify and unlock different facets of her endurance capabilities. 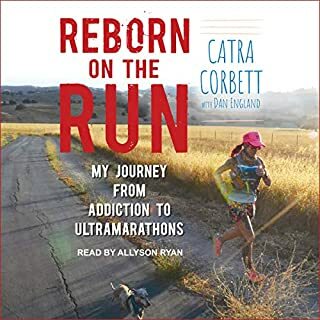 Following on from award-winning Fat Man to Green Man: From Unfit to Ultramarathon, Ira's second book examines how important mental state, support, and friendship are, not just to running long distances but also to life and happiness as a whole. 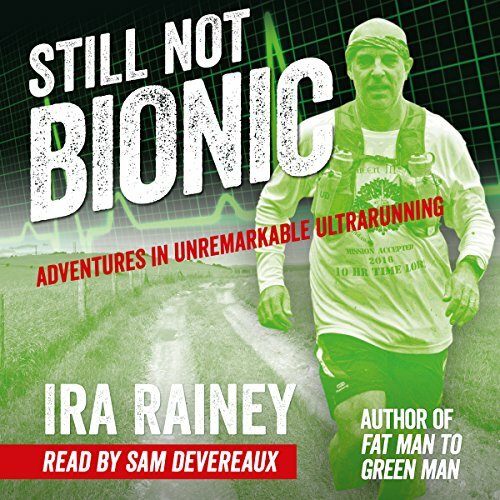 Still Not Bionic follows Ira's turbulent journey as he battles his inner demons across mountains, along coastal paths and beside canals in his attempt to undertake the ultimate quest of completing a 100-mile footrace across England. I love how Ira equates running to life. I do that often. Depression is one of life’s obstacles that can be overcome by perseverance, hard work and plenty of aid stations. in comparison to his first book, I find this one much more relatable. I'm a runner who struggles with depression, and his description in the opening chapters is so accurate of good I've felt in my life. I also prefer this narrator over the one from the first book. My second Ira Rainey book and I have really liked them both. He makes the seemingly impossible possible. Running 100 miles is an incredible feat and at first looks impossible to any but the ultra fit. But he does it while battling injury and mental health issues. I am now planning to run the SDW and I'm ramping up my mileage to do it. 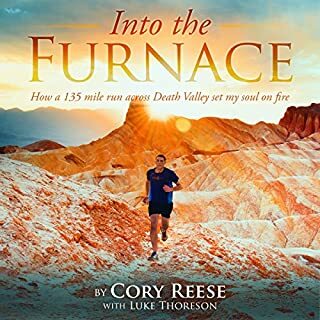 I run while listening to audio books so this is the perfect companion for a long hard run. Sam Devereaux reads the book brilliantly and I'll be looking for more books read by him. This book is narrated brilliantly. The story itself will inspire you to go beyond your recognised outer limits! I really enjoyed this book, it is definitely going on my inspirational list. There is inspiration oozing from this book. Ira is certainly open, courageous and persistent. Great story, but I didn’t connect with it as much as I did with Fatman to Greenman. What did you like most about Still Not Bionic? This book was just great. From depression to success. It shows the highs and lows in someones everyday lives and how sport can help with mental issues. I find that if I go on a run and I've something on my mind, it feels so much better afterwards. What about Sam Devereaux’s performance did you like? Sam read this very well and he was easy to listen to throughout. The realisation that giving up your life really wasn't the best option. Having lost a brother to suicide, it's hard to understand why someone would do that but to hear that others have the same dark thoughts can help you understand the desperation that those that choose suicide must be going through. Second book I’ve read by Ira Rainey, both excellent and impossible to put down! 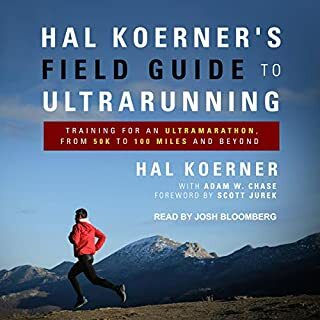 Nicely written and narrated, you don’t need to know anything about running to really enjoy this, as it’s not a detailed description of how to run more an insight into how it is for him to run. Highly recommended!! absolutely insireing book to read to anybody can acomplish such a fantastic feat makes me want to run an ultra . He's maybe not bionic but it is brilliant listen. 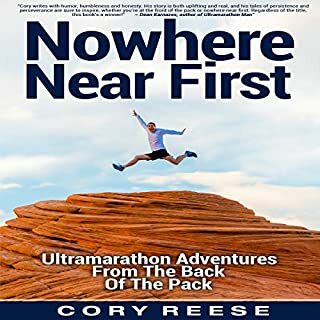 Everyman" Ira Rainey has written another funny, accessible and real life account of running, training, ultramarathons, and the struggles with modern day life and mood. 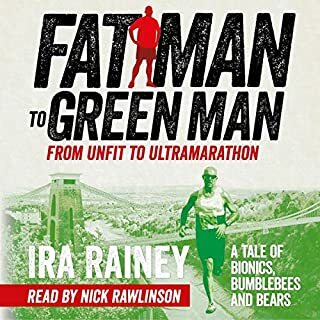 A brilliant sequel to "Green Man to Ultraman", the story continues on exactly where it left off, giving a superb real world account of Ira training for his first 100 miler and the ups and downs along the way. 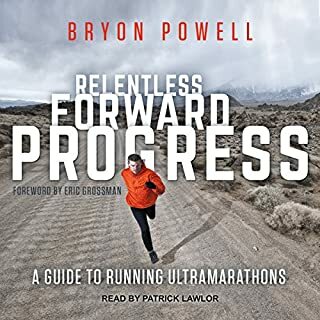 Ira isn't Kílian Jornet, he isn't Dean Karnazes, and that's what makes these books such a brilliant listen and an inspiration for the "average joe" (and by that I mean non-elite!!) runner. Whilst the narration is great, it's a shame to have a change of narrator between the first and second books, as I do link a voice to a writer. Bring on the next one Ira.